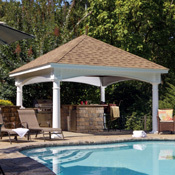 Create the ultimate area for backyard barbeques, quiet dining, or outdoor relaxation with an elegant gazebo, pergola or pavilion from Bayhorse. 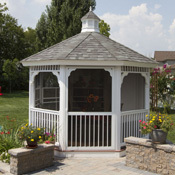 If you have an immediate requirement, take a look at our in-stock gazebos to see what we available available on our lot. 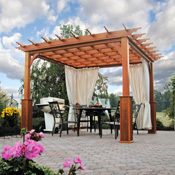 Built by Amish craftsmen, our quality gazebos, pergolas and pavilions are built to last for generations! 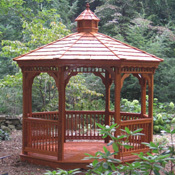 Our custom order wood gazebos and custom order vinyl gazebos can be ordered with your choice of stain, roofing options, cupolas, benches, screens and electrical packages. 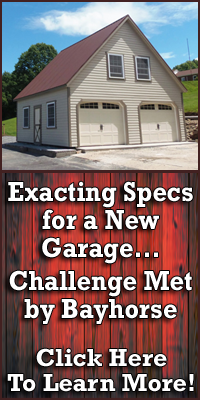 Our custom order pergolas and custom order pavilions can be ordered with your choice of stain, roof options, post options, stone columns and electrical packages. 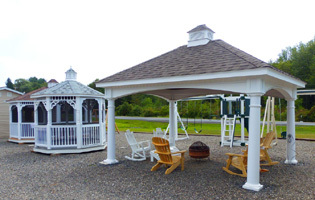 Own one of our gazebos with a two-year BLI Rent-To-Own agreement. There is a 10% security deposit and the first month's rent to start. 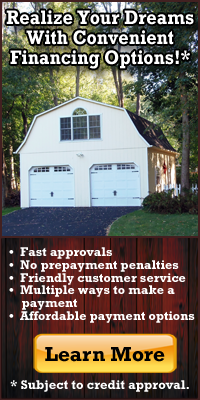 Choose an optional three-year agreement with a lower payment and the same 10% security deposit. No credit check. Instant approval. Ask about 90 days same as cash! Find out more and apply online today!